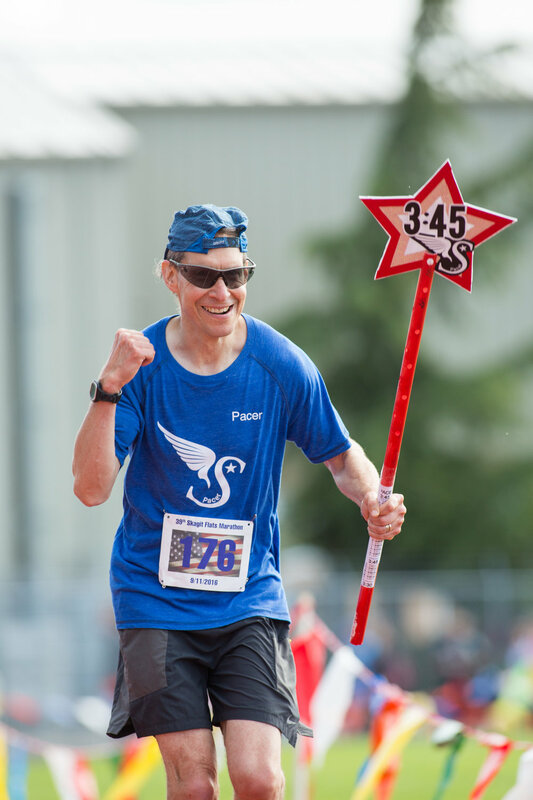 The Super Pacers is a collection of the most experienced and dedicated runners from across the nation. They are selected for their skills in pacing and their enthusiasm for the sport. Bringing the Super Pacers to your event will enhance the experience for your runners. Book the Team and we will be a lively addition to your expo at a booth and come equipped with premium pacer team shirts and stunning pacer poles. These items will stand out in the crowd to lead your runners to PR's, BQ's and a most excellent time. Your event can expect the best with teaming up with the Super Pacers. We will take the stress away as the Team Leader personally knows the pacers. After years of pacing and running across the nation, Sabrina knows her pacers and the pacers do their job with pride. We look forward to pacing with you! Please email for a quote. Each race is unique and we want to create the perfect team for your event. Whether it's a half marathon, a full marathon or both. We understand the needs for the different sizes. Collectively we have run a ton of events all around the nation.